This year, National Grandparents Day is on Sunday 28th October, which Kindyland Kids are celebrating within our centres, on Friday 19th October. A special morning tea is planned, dedicated to thanking grandparents for their love and support. 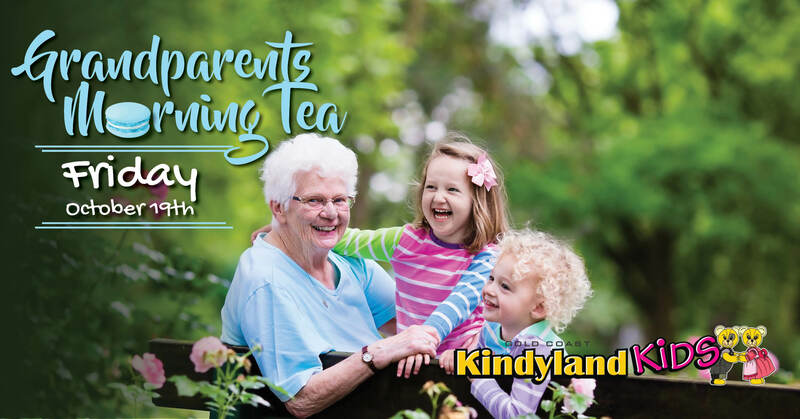 Our special morning tea will kick off at 9:30 am giving all our centres an opportunity to acknowledge the effort and devotion of grandparents in their many roles of caring and supporting their grandchildren. We would like to invite all our centre’s grandparents to join us, so we can help our children show appreciation and share a message of sincere thanks for all that grandparents do.